Guide on How to Ace Your HR Generalist Job Interview (Questions and Answers). Staffing, employment processing, welfare benefits, records management, succession planing, employee retention, EEO compliance. Even if the companies wanted, they could hardly advertise the job of an HR Generalist in a worse way. In a less realistic one. In reality you will simply work with people, and in most cases you will respond for only two or three things from the job description. You will either help with hiring new staff, conducting interviews, or training new people. Or you may be responsible for keeping records, and leading exit interviews. Several people will work in the HR team (unless you apply for a job in a very small company), and each of you will take care of some HR duties. Why do you want to work as an HR Generalist? Have you ever interviewed anyone for a job? What questions did you use in the interview? How important is paperwork for you? How would you feel about dismissing a good friend? Employees always want to earn more, and do less. People won’t tolerate your mistakes, and many of them won’t be aware of their own imperfections. Bearing it in mind, a good HR employee needs a variety of skills and abilities. This variety is reflected in a typical interview process for this position. You will have to deal with many behavioral and job-specific questions. On the top of that, you can expect to get a personality test. It is the only way how we can assess your readiness for the job, and decide whether you have the skills that are required for the position, and whether we should hire you, or one of the many other candidates who compete with you for the job. Let’s have a loot at the questions! 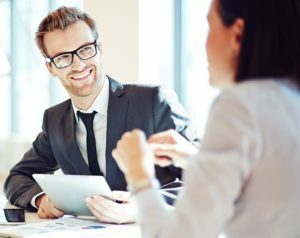 Talk more about things you want to offer them (excellent communication and administrative skills, value you plan to bring to their HR department) than about things you want to take from them (good salary, excellent learning opportunities, position that offers career growth options, etc). Try to talk with enthusiasm right from the start. They should feel that you are happy to be in the room, interviewing for a job that you really want to have. This is a behavioral question—they ask about a situation from the past. If you apply for your first job, however, you should not simply say that you do not have an experience with the situation. Say instead what you would do in an interview. I suggest you to pick a position (manager, operator, engineer, sales, if they do not set the position directly in the question), and talk how you’d lead the interview for that particular job. This will be one of your main duties as an HR Generalist. In terms of staff performance, data-driven judgment always beats intuition and observation. Tell the interviewers that you consider it extremely important, and will devote portion of your time to this activity. You can elaborate on it with your ways of collecting data, or reporting on them, or (if you have no experience with it) you can say that you look forward to learn how to do this effectively in a corporate environment. Special Tip: Check my new eBook, HR Interview Made Easy, to see multiple sample answers to this question, as well as to other 24 most common interview questions for HR Generalists (you will see some sample answers directly on the page). Thank you! Advertising new offers, and writing the job advertisements, belong to common duties of an HR Generalists. It is easy to attract young talent once we are in economic recession, and people battle for jobs. But when we experience economic expansion, job boards are full of ads, and companies “fight” for quality people (or sometimes they “fight” for any people), it is a true art to write a job offer that will stand out, and attract the right kind of applicants. Try to show some methodology in your way of thinking. You can say that you would spy on your competition, checking their job ads, and trying to find out how the company stands out. You would emphasize these things on the job offer. We live in bureaucratic times. Regardless of your job in the company, you won’t avoid doing some paperwork. Tell the interviewers that you understand the importance of paperwork (though most of it isn’t really important, at least in my view), and will approach it responsibly. At the same time, though, you may say that the actual work with the employees (hiring, training, orientation, motivation) will always remain your main priority, since you don’t want to spend all your time doing paperwork. A tough question, but you should try to ensure the interviewers that you will decide rationally, and not emotionally (in reality this is hard to do, but in an interview we should always try to show the right attitude to the job). You should be ready to dismiss anyone who breaks the rules repeatedly, or doesn’t handle their job on an ongoing basis. Company comes first, personal relationships second. How would you motivate an employee to work harder? An employee asks you for a raise, but you do not think they deserve one. What would you do? Here are two resumes of applicants for managerial position. Please, have a look at them and tell us which one would you prioritize, and why. Have a look at this working contract. What would you improve on it, trying to make it better from the perspective of the employer? Do you have any experience with payroll? Describe a situation when you had a conflict with one of your colleagues. HR Generalist is a great job, but you will have to pass a tough interview to get it. What is more, you will typically compete with many other people for the job, since it is one of most popular entry level positions in big corporations. Many candidates, one job. Will you be the one who gets it? Have a look at a new eBook I wrote, HR Interview Made Easy. In the book you will find multiple great answers to each difficult interview question for HR Generalist. I believe it can help you immensely in your interview. Check the long sample on the eBook page, and decide for yourself. Thank you, good luck in your interview!